There’s no getting away from it. No matter where you go in New Zealand, people are out with their phones, cameras, tablets – anything that will take that perfect shot and deliver you the most likes, shares, comments and double taps! Instagram has changed the way we see the world. For those who are not able to travel, Instagram has opened up a whole new world of visual experiences. Everyone has a different take on the world and seeing some of the most popular destinations around the world through the eyes of thousands of different people creates a visual experience like no other. New Zealand is right up there when it comes to the sheer number of Instagram images but the big question is ‘where are the most Instagrammed locations in New Zealand?’ Well, you might be surprised by some of the additions to the top ten but there are some absolutely stunning locations featured. So there you have it, New Zealand’s most Instagrammed destinations! SOme absolute crackers in there we’re sure you will agree. Where do you take most of your Instagram shots in New Zealand? We’d love to find out? Tag us on Instagram #GOExploreNZ or drop us a comment below. If you are looking for the perfect rental car to take you to some of these amazing destinations, don’t forget we have fantastic deals running all year round on car rental in New Zealand – check them out! They are the only company to offer the full range of options: walking, sea kayaking, boat cruise, water taxi and the only lodge accommodation right on the beach within the boundaries of the National Park. See The Best of Abel Tasman National Park with them! 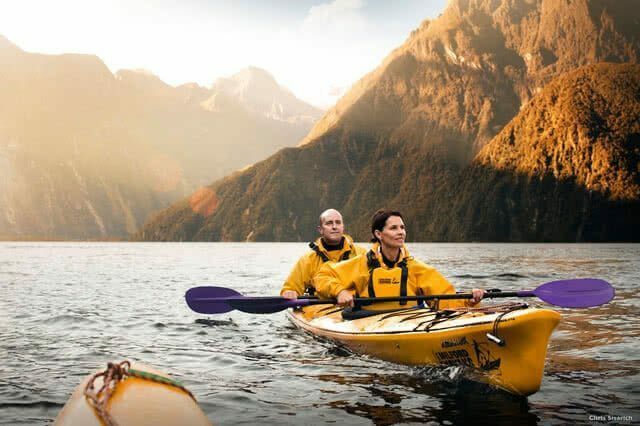 Sit back, relax and cruise in iconic and world famous Milford Sound. Spacious vessel. English only commentary and awesome friendly crew! Explore our amazing ‘backyard’. SUMMER ONLY - October - April * 9am & 3pm Cruise Only. Direct bookings only.